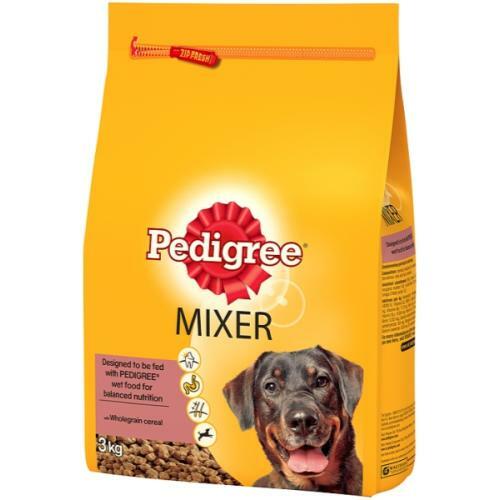 Ensuring that every dog has a complete and balanced nutritional diet Pedigree have used their 40 years of experience to create the delicious Pedigree Original Mixer Dry Adult Dog Food. A complimentary food full of vitamins and minerals it has been designed to be fed alongside a wet food. Mixed together with a wet food your dog will find the different flavours and textures tantalising as the crunchy collides with the wet juices. Bringing together wet and dry lets you get build the most optimum diet for your dog as the wet food contains a higher moisture and but is less calorie dense. The dry food helps raise the calorie content whilst helping slow their eating with its crunchy kibble which also aids dental hygiene.